I wanted to share with you my favourite creation of the last year: the most amazing pair of earrings that I own! 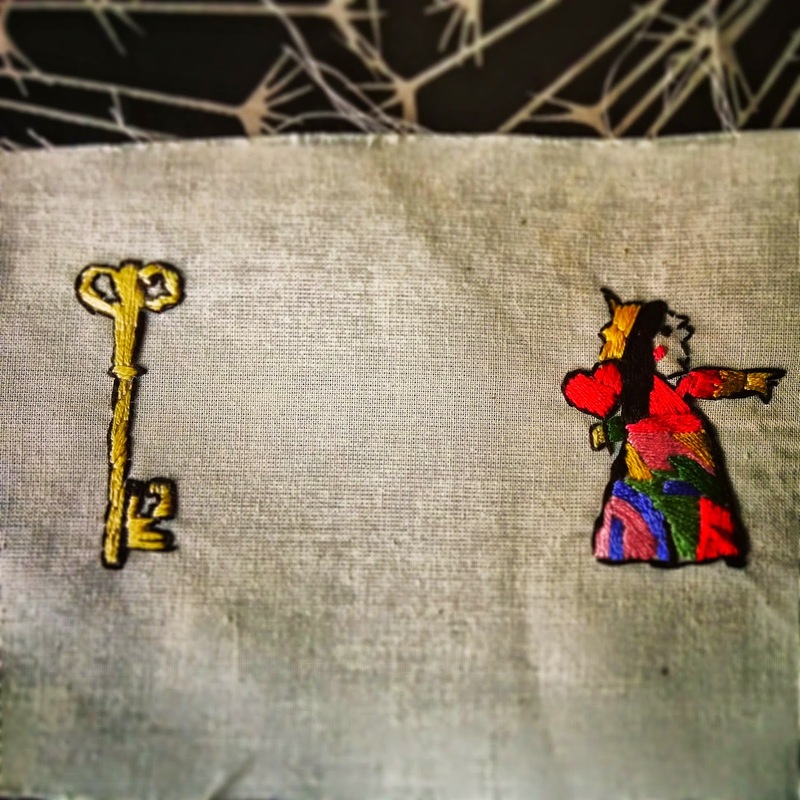 Little fairy tale characters awakened the child in me, and led me to take up my sewing tools and create a bit of magic. Et voila! The result is a pair of curious earrings. They are so fun, that I love wearing them; but I had almost as much fun embroidering, gluing and assembling them. 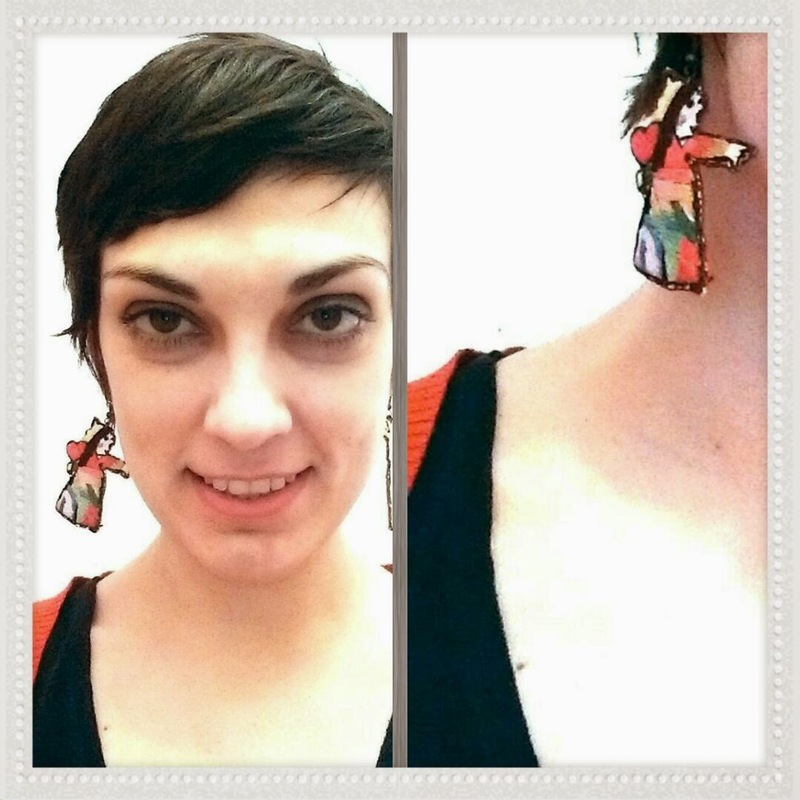 If you follow me on Instagram, you have probably already seen my earring, if not, here they are! 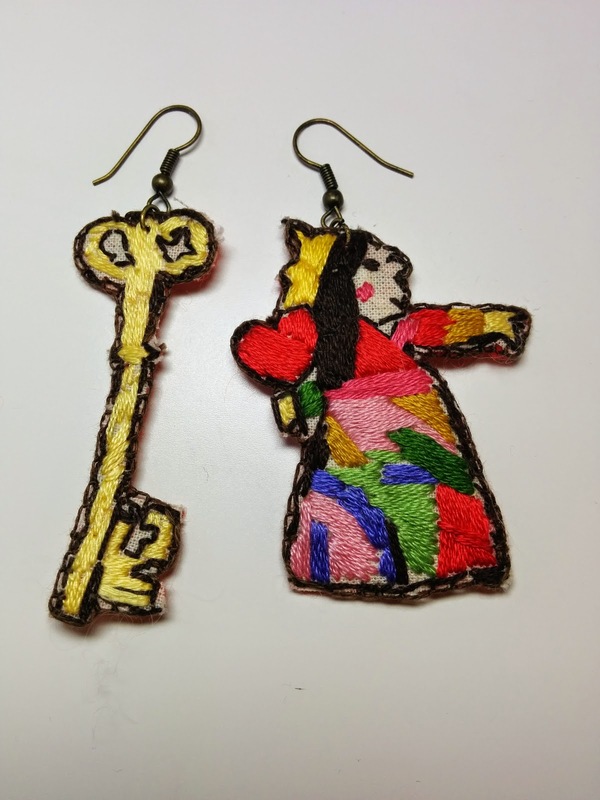 To make these cute Queen of Hearts and magic key earrings, I used Tamao’s Embroidery, a craft book purchased long ago in Japan. Since then, it has been waiting on my shelf for a better day. 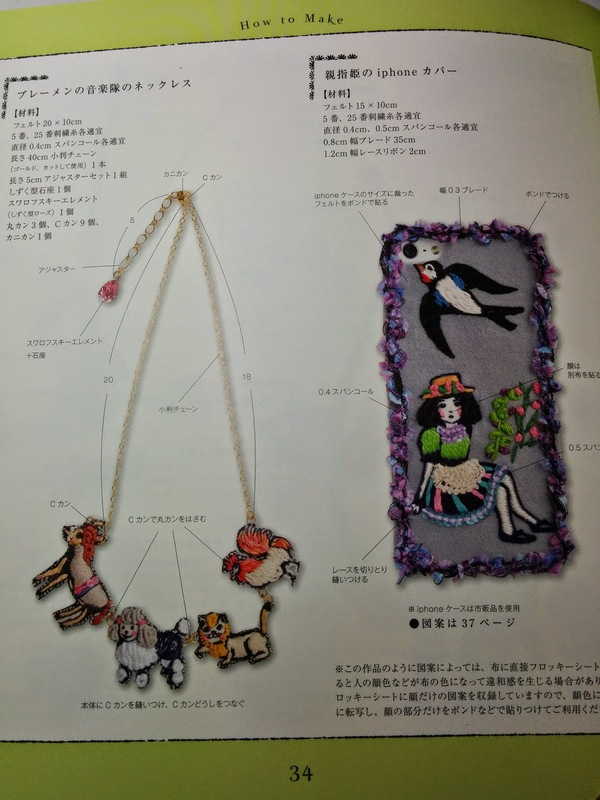 Everybody who has ever opened Japanese craft books loves them. Do you want to know why? Not only are these books cute, but are also very beautifully styled and showcase comprehensive, easy-to-follow visual instructions. 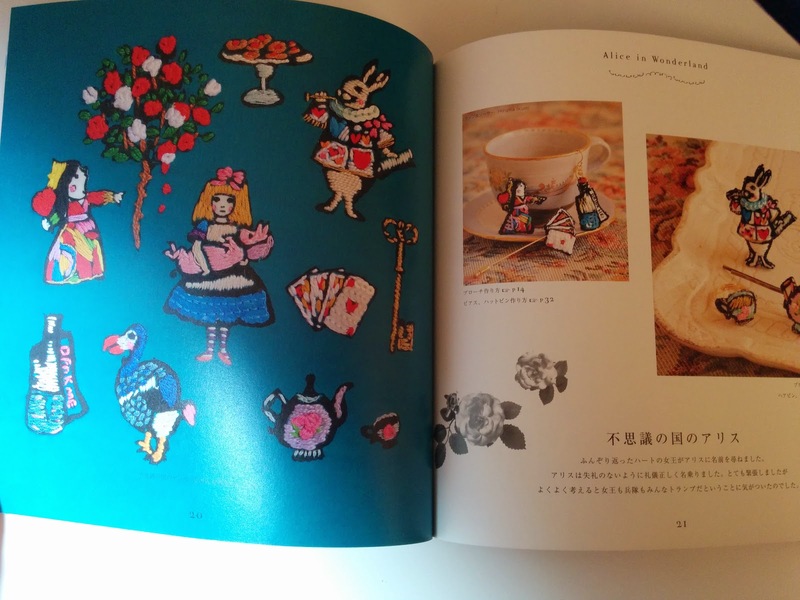 In her embroidery book, the designer features characters from, Andersen's, the Grimm brothers’ fairy tales and Alice in Wonderland. She suggests various ideas for handmade accessories: earrings, brooches, necklaces, pouches you name it! I think that they would look equally lovely on a garment such as a simple t-shirt or a pair of jeans. It took me 4-5 hours to complete the project. First, I transferred images from the book to embroidery paper. Then, I traced the same images from the paper onto a piece of medium-weight muslin using one of these water and air erasable pens. Once the embroidery was finished, I glued the muslin to a piece of felt and, as glue dried out, I neatly cut each piece out and pierced a hole with an awl. Lastly, I inserted ear-ring hooks and it was finished. My next project from this book is the Red Riding Hood pin - a birthday present to a friend! Or to me? These are very fun! What a fabulous idea! I love this Inna! I remember you showing me the book when we last met. 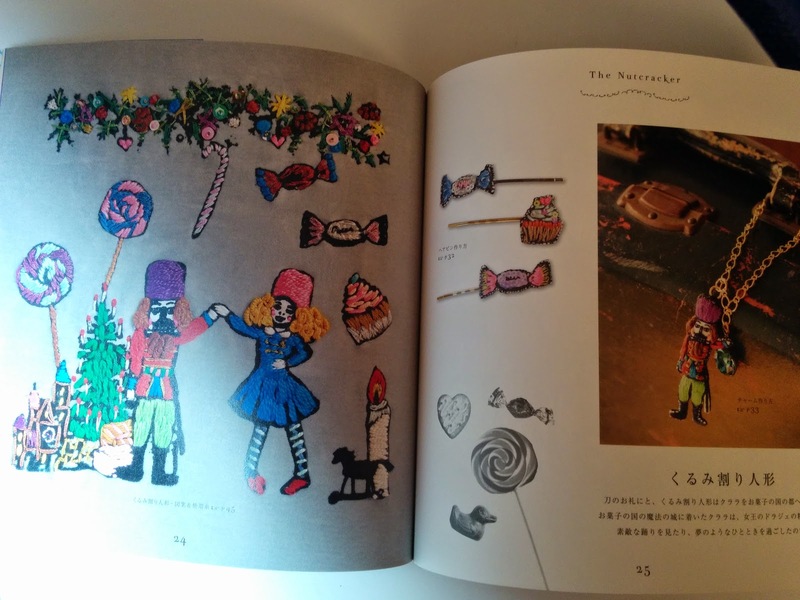 Everything in the book is so adorable! Wow! I want to make the rabbit and the Alice with a piglet! Great idea for a small project to keep our hands busy. 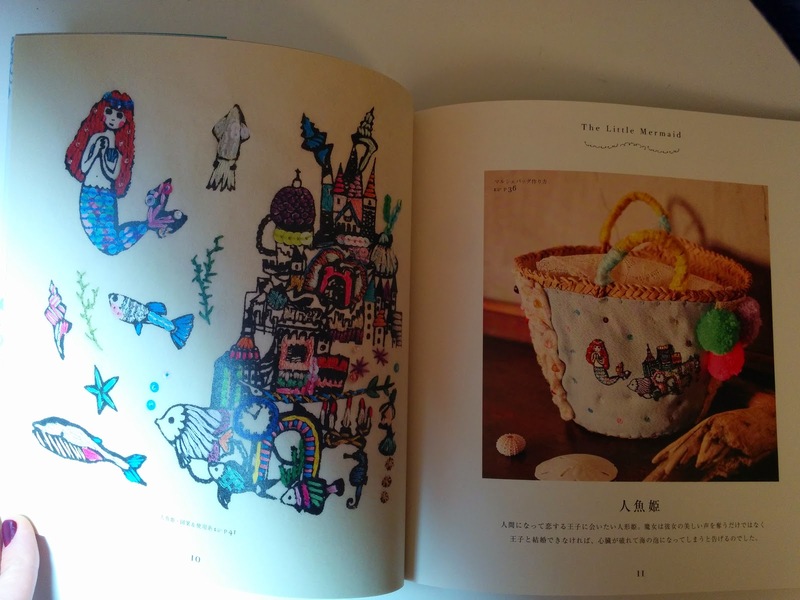 *^o^* I love Japanese craft books, they're a feast for an eye and make you want to start do some crafting right away! These are SO sweet! I really love the colours you used & now I have to find that book (Kinokuniya gets all my money!)! Embroidery is such fun, isn't it? I really like the detail & individuality you put into everything you make! I've never seen embroidery earrings before - and these are so cool! Did you have to use a couple of different embroidery stitches, or is it the sort of project a newbie embroiderer could handle? Thanks, Gabrielle! I used only two stitches: padded stitches to fill in the space inside each earring and blanket stitch which I used along the edges. Really easy! Everybody can do it! Run to Kinokuniya! I hope you have their loyalty card! I second you on Alice with the piglet. It maybe be an embroidery on a bag or something.... Oh, these Japanese! They know how to steel our hearts! I wish you'd worn these in Paris - they are just soo cool. Will need to keep my eyes open for the book and good to know it doesn't require too much stitching skills.